Using the litter box properly is one of the most important aspects of a cat’s indoor life. For most of the cats the need to eliminate comes naturally, very early on in their lives, but some of them need more time and careful training. Training your kitten to use the litter box should start as early as possible – from the first day it arrives at your home. This process takes some time and patience, but generally speaking is easier than housetraining a dog. 1 When To Start Training? In most cases, unless it is a rescue kitten, it will arrive in your home at around 10 to 12 weeks old. The litter training should have already started by that time, as the optimal moment to start is around 4 weeks old. The kitten learns to walk around 2 weeks old and slowly starts exploring its surroundings. However, it is not advisable to start the training before they are 4 weeks old, as it will have no effect. 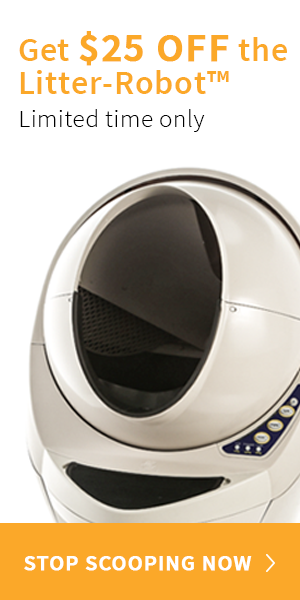 For more on cat litter boxes, read here. As soon as your kitten arrives, you should continue teaching it how to use the litter box. Try to get the same type of litter as the breeder has used and the same or similar design of the box. Once you have found the place for the litter box, avoid moving it and allow your kitten to learn where is the spot it can eliminate. 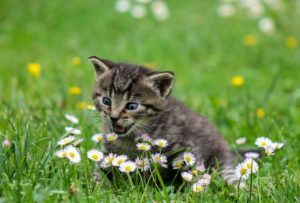 Most kittens will have the natural instinct to use the litter box, but you still need to teach them the basics to avoid “accidents” from happening. 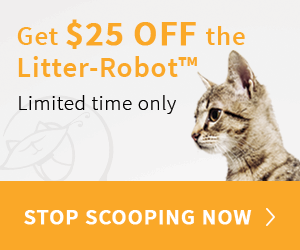 Start the training by showing your kitten the litter box. Gently place its paws in the litter and show it how to dig. Allow it to play and explore. At the beginning, try to place it in the litter box more frequently – first thing in the morning, after a meal, a nap or after playing – as this is the usual time the cat will use the bathroom anyway. 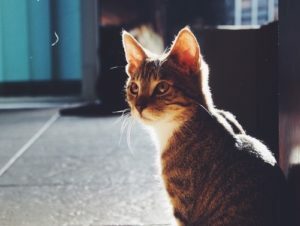 Your kitten will explore the space it spends its time in and eventually learn about different locations – where to eat, where to sleep and where to eliminate. Therefore, it is very important not to change the place of the litter box. The cats have a natural instinct of eliminating in sand or soil and most of the times learn by observing their mother or other cats in the household. Nevertheless, your assistance is often needed, with the main focus on making their litter box a pleasant place they feel comfortable in. Generally speaking, cats seem to prefer the unscented, fine-textured litter, over the scented and coarser one. However, try to avoid the clumping type at the beginning, as your kitten is likely to swallow it while playing and exploring its litter box. The litter box should be the right size for your cat and it should have low sides, so your kitten can easily and safely get in and out of it. 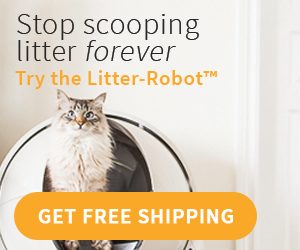 You should use less litter and change it frequently – two inches of litter is sufficient enough for your cat to feel comfortable. 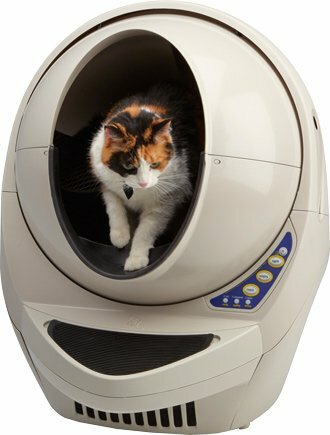 Some cats may prefer the hooded model of a litter box, as they feel safer when covered. 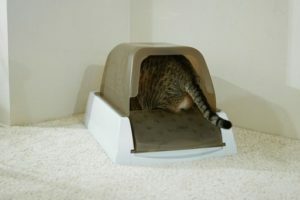 In general, cats like their privacy, so whichever model of a litter box you use, avoid placing it in a busy, noisy place. Self-cleaning models are not suitable for small kittens, as they are noisy and may scare the sensitive little creatures. Your kitten will learn best by observing and imitating the other cats, but if you have more cats in the household, provide your kitten with its own litter box. Because your kitten will often play in the litter and try to taste it, it is of utmost importance to keep it clean and safe. On the other hand, if the litter box is not clean enough, your kitten may avoid stepping into it and choose another place to eliminate. 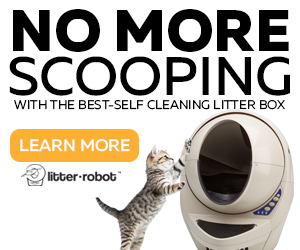 Scoop at least once a day and change the litter, washing the litter box once a week. Be sure to use safe, natural, enzyme-based defincieces and avoid strong-smelling, aggressive chemicals. Don’t expect your kitten to successfully use the litter box on its own right away. Most of the times, the litter training will go smoothly, but sometimes “accidents” may also happen. In that case, refrain yourself from punishing your cat, as it will only confuse and scare it. Continue training by placing your kitten in the litter box more frequently, being gentle and reassuring, until it starts using it on its own. If the problem persists and your cat relieves itself often outside the litter box, seek the expert’s opinion. 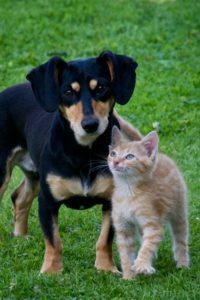 Veterinarian should examine it to rule out the possibility of more serious issues, such as urinary infection or intestinal parasites. 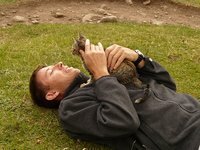 Litter training your cat is usually not a hard task. Cats have the need to eliminate in the loose soil and bury their waste in it. They just need some gentle reassurement to make them use the litter box every time. Their training should start at around 4 weeks old and continue until they start using the litter box with success on their own. I was seriously freaking out. Thank you for this article!! !